This book titled Adaptive Filtering: Principles, Concepts and Applications covers principles, concepts and applications of adaptive filtering. The development of adaptive filtering started in 1976 and widely developed over different application areas. It is certainly not our ambition to cover everything of adaptive filtering principles and applications. 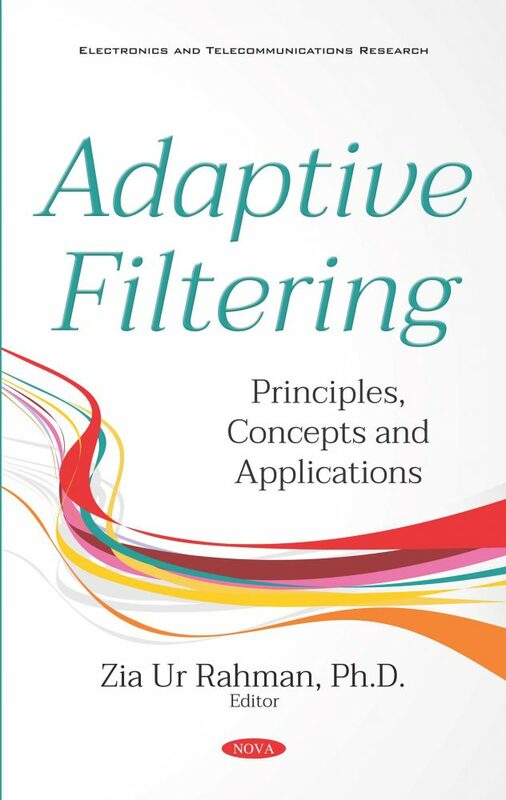 Rather, this edited book features the latest methodological, technical and practical progress on promoting the successful use of adaptive filtering principles and applications, which are more useful in the current day scenario. The book contains ten chapters contributed by the experts in the area of adaptive filtering throughout the world. The various applications addressed are MIMO receivers, adaptive exon prediction for DNA analysis, beam steering for smart antennas for mobile applications, telecardiology systems, physiological signal analysis, brain computer interface applications, speech signal conditioning, filtering thoracic electrical bio-impedance, and inter symbol interference cancellation in wireless communication systems. 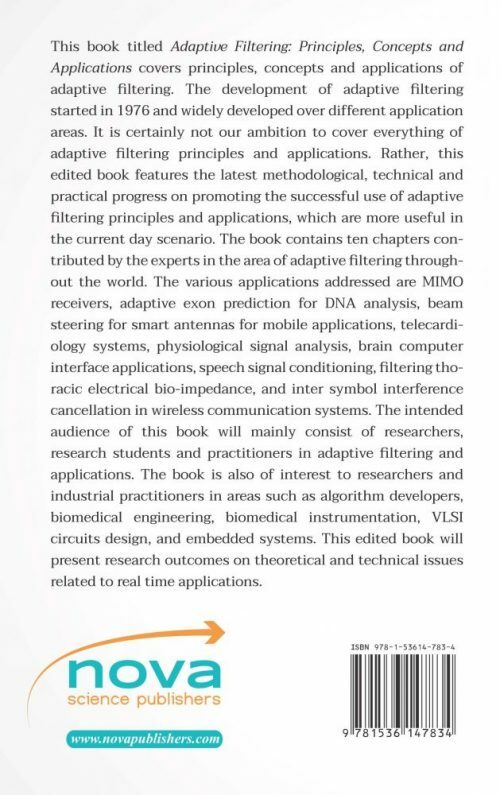 The intended audience of this book will mainly consist of researchers, research students and practitioners in adaptive filtering and applications. The book is also of interest to researchers and industrial practitioners in areas such as algorithm developers, biomedical engineering, biomedical instrumentation, VLSI circuits design, and embedded systems. This edited book will present research outcomes on theoretical and technical issues related to real time applications. The intended audience of this book will mainly consist of researchers, research students and practitioners in adaptive filtering and applications. This book is also of interest to researchers and industrial practitioners in areas such as algorithm developers, biomedical engineers, biomedical instrumentation, machine learning, and artificial intelligence. This book will present research outcomes on theoretical and technical issues related to real time application.